The time has come for upgrading. After spending 12 years living and breathing (and at times surviving) a life in education and learning, it got to me. Throughout my time working with young kids, teens and adults I have been continually taken aback at the low levels of trust and belief people place in their potential. I’m not talking about upgrading your computer, home, lifestyle or that gym membership that felt so good when you signed up (but now seems to only haunt your fortnightly pay). It’s time to upgrade the way you think, learn and understand how your brain actually works. You have the potential to physically change your brain, increase brain connections and acquire any new skill or knowledge*. 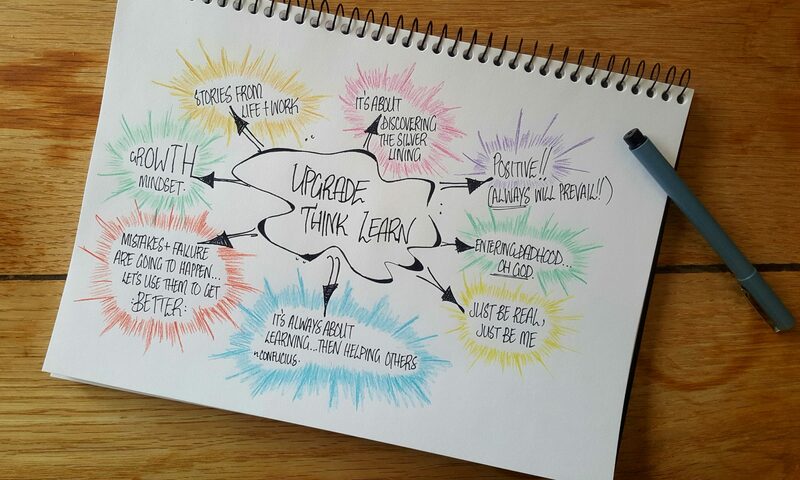 Welcome to upgraded thinking and learning. This is a blog designed to fight and combat the negativity and nonsensical naysaying that can attach itself to your thoughts and attitudes. That negativity that comes at you at work, during your lunch break (from that jaded colleague), when you watch the nightly “news” or even when you talk or think to yourself. If we aren’t careful pretty soon the messages surrounding us can become internal and evolve from an attitude to what we truly believe. Possibly naive and idealistic? Yes, maybe. Necessary? Definitely when at times all we see and hear is despondency. Believe me – I have seen this in friends who have stayed in jobs they hate because they genuinely believe they couldn’t get a job anywhere else. I’ve watched my wife question whether or not she has the knowledge or skills to go for leadership positions, simply because there might be things she doesn’t know that others may…and she certainly has more than enough knowledge and skills to outperform anyone in her role, it just took a slight upgrade in how she saw herself to change this. I have seen it in kids as young as 6 years old during my teaching career. They already think and believe what they have upstairs can’t be upgraded. What’s worse though is that I have seen and heard it from the teachers teaching those kids. It isn’t the negativity that is just the worry, it’s the mindset that people can develop and create when thoughts become attitudes and attitudes become beliefs. It’s called a fixed mindset and it prevents you from, well, being the real you. With a fixed mindset you limit yourself and those around you. The key is to do the opposite and create what is now called a Growth Mindset**…through changing your thinking and putting in (unsurprising) effort, practice and time you can increase your knowledge and aptitude in nearly any area. So, here’s the rub: it’s time to upgrade the way we think and speak. Teachers, you’re my first and foremost targets on the list. It’s time to start welcoming mistakes you have made, celebrate things you are unsure of (or simply don’t know) and focus on what you want to discover, learn or upgrade. Welcome, let’s start upgrading your thinking and learning.